HOT! 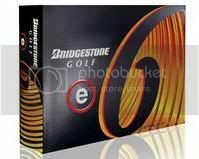 The Bridgestone e6 golf ball contains a newly enhanced inner layer that is designed to absorb any excess side spin. This means that if you are one of those player who constantly struggle with a slice or a hook, this is the golf ball you are loooking for. The e6 is one of the softest multi-layer golf balls available that is built for long, straigh distance.